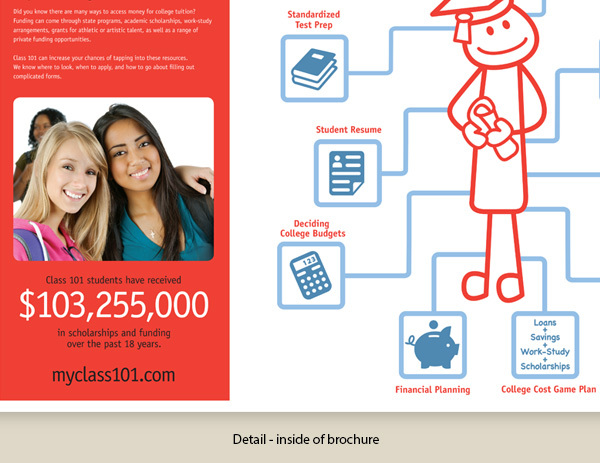 Click image to view brochure opening sequence. 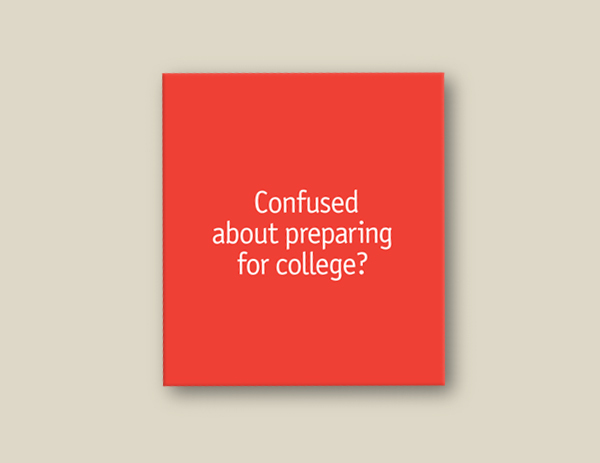 Preparing for college can be a daunting task for high school students and parents. They often feel confused about where to start and what options are available. 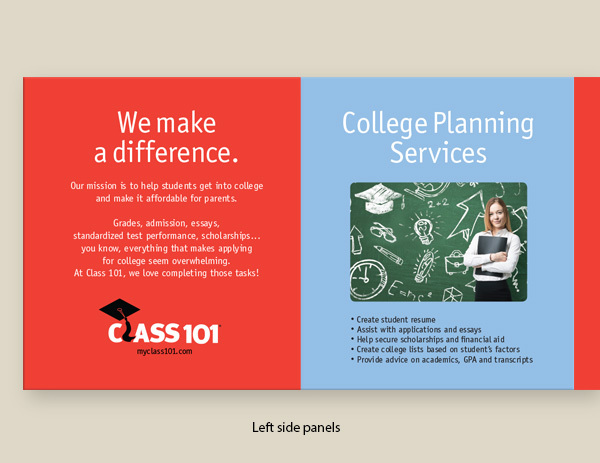 Class 101 periodically holds seminars to educate parents and students about the benefits of working with an experienced college planner. Class 101 asked the Arion Group to create a unique and eye-catching piece that reflected the company’s enthusiasm for working with students to achieve their dreams. 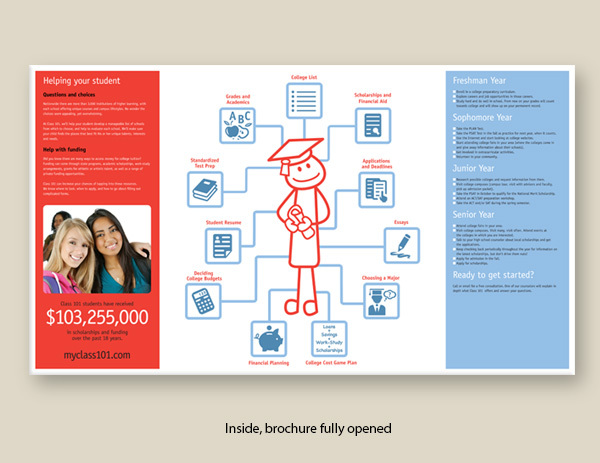 They wanted to hand it out at their seminars as well as mail it to prospective clients. 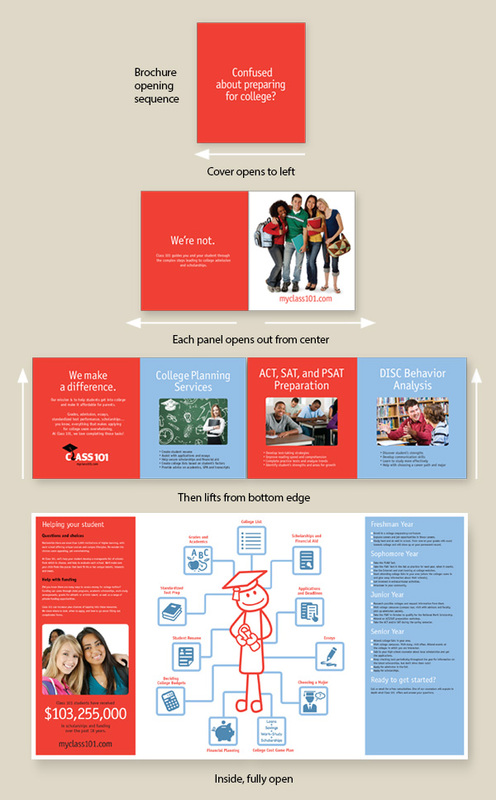 The brochure design we created for them is eye-catching with its unusual size and fold. The colors are bright and youthful. The first few panels set the tone as the reader opens the piece. Class 101 services are clearly listed on the alternating red and blue panels as they’re revealed. 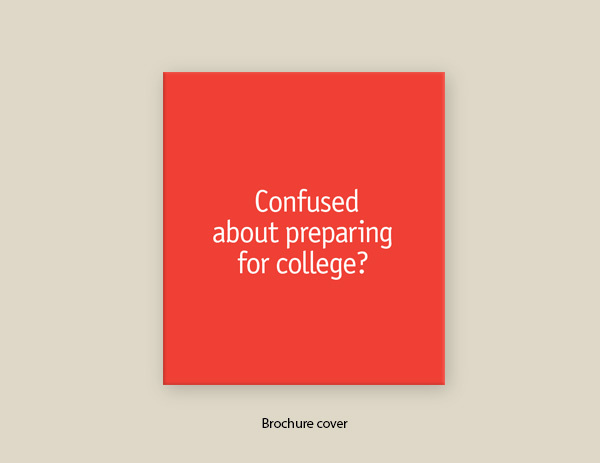 When the brochure is fully open, there’s a friendly cartoon drawing that highlights the multiple areas to be addressed when preparing for college. 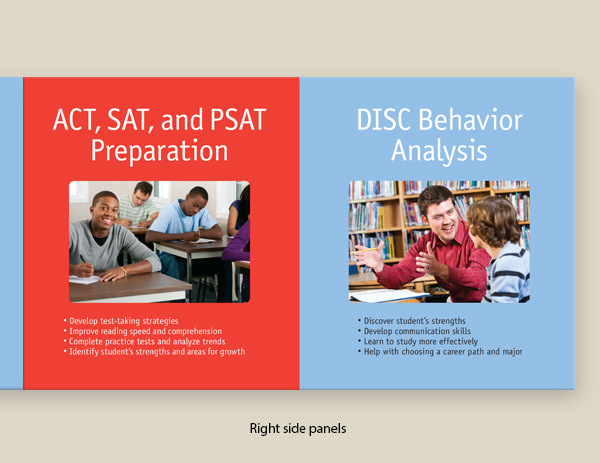 Also included is a convenient checklist of tasks to be completed for freshmen, sophomores, juniors and seniors included. 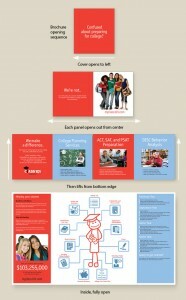 This encourages the reader to keep the brochure and refer to it again and again. 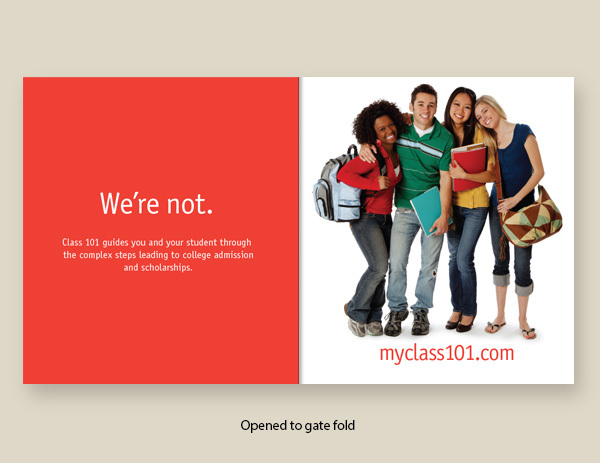 For help with creating a brochure for your prospective customers, contact the Arion Group today.